Just send in your dental handpiece equipment and our expert technicians will test and assess your equipment to provide you with an obligation free quote. High speed handpieces are the backbone of most dental surgerys and that’s why we offer the industry leading service, warranty and price. Usually referred to as low speeds we prefer to call these handpieces middle speeds. Over the years we’ve seen these handpieces become more-and-more popular as more-and-more of our valued customers have sent them in for repair. The traditional low-speed handpiece is a mainstay of any dental surgery. We’re experts in getting these handpieces back to their optimal performance to get you and your surgery running. On the rare occasions couplings do have their breakdowns. 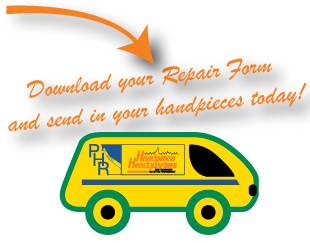 Will fix your couplings and get them back to you in no-time. Yes, EMS scalers! Many dentists are surprised to hear that we are able to rebuild these scalers. EMS scalers have become a valuable instrument in most dental surgeries.